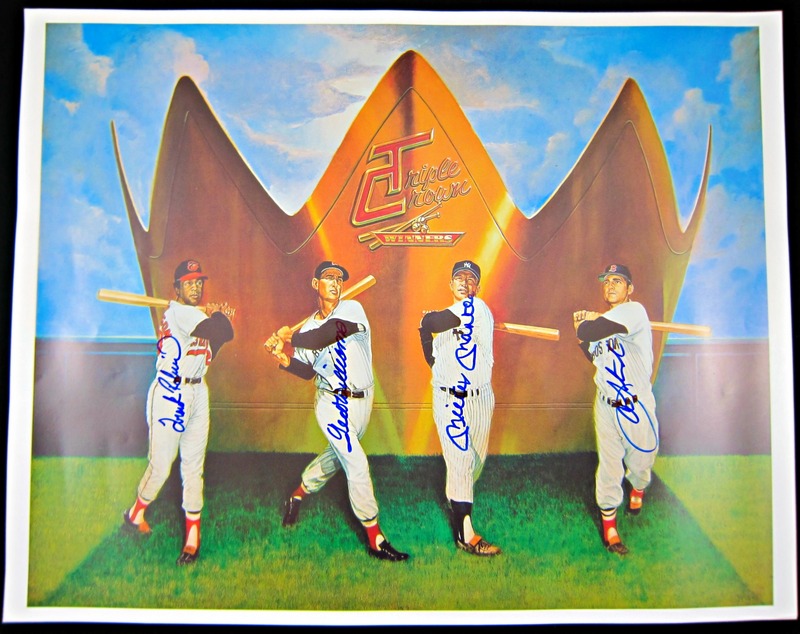 No baseball collection would be complete without this gorgeous lithograph. Beautiful color 20.5 x 25.5 Ron Lewis “Triple Crown Winners” litho print. Signed in blue sharpie by Ted Williams, Carl Yastrzemski, Mickey Mantle and Frank Robinson. 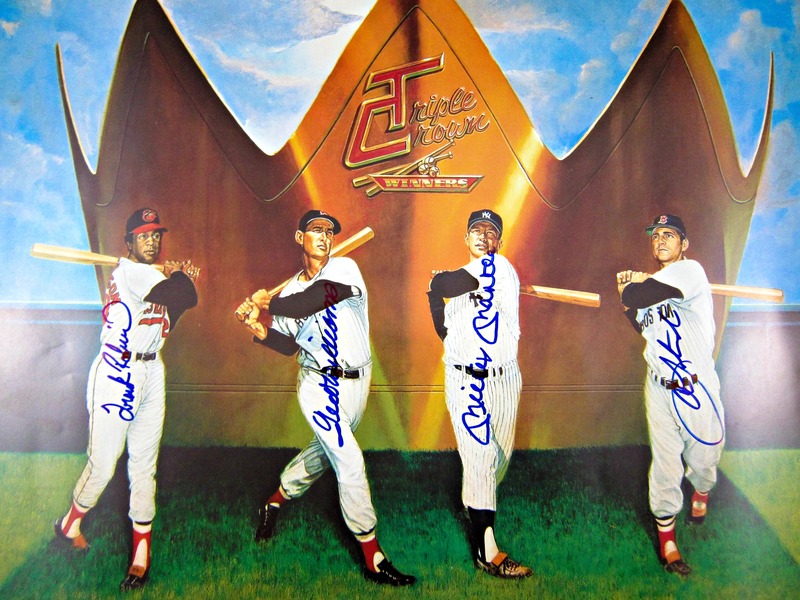 This gorgeous piece will frame and display spectacularly for any baseball collection. 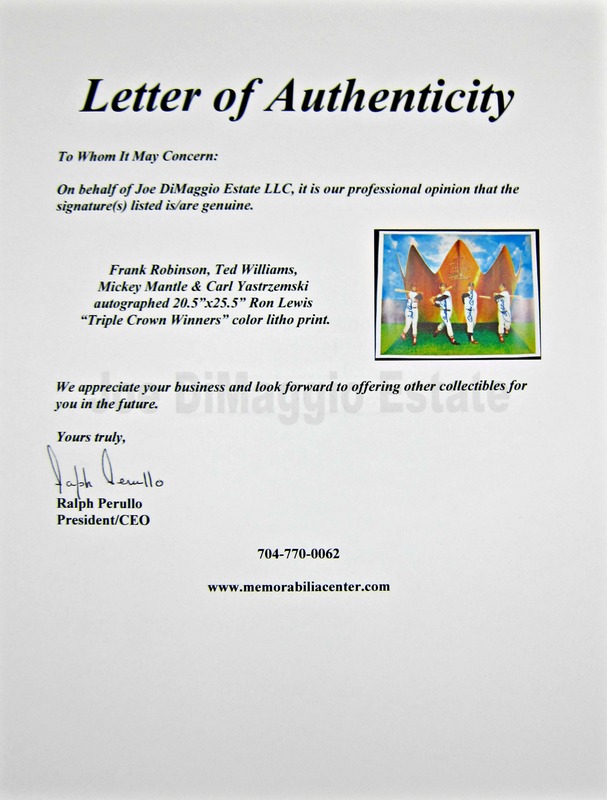 It Includes full Letter of Authenticity from The Joe DiMaggio Estate.